TDL-80-2B has the advantages of small cubage, fow weight, farge capacity, low noise and so on. The frame is made of high strength plastic. It can be operated conveniently. 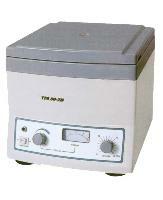 It is an ideal instrument for hospitals, labs to make qualitative analysis to serum, plasma, radio-immunity.